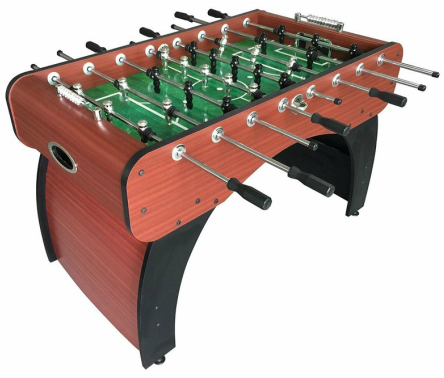 The Hurricane is an almost full size 54 inch in length table that is engineered for family fun and makes a perfect model for teenagers. It is designed more for recreational use rather than competitive, tournament-grade quality. It comes with an MDF wood cabinet stained in a light cherry color with black accents. The men are cream colored and black mounted on chrome-plated steel rods. 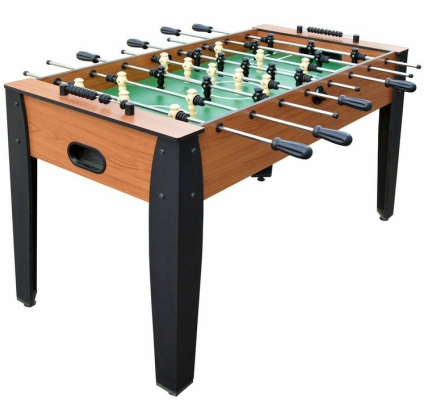 It is supported by four L-shaped legs with adjustable leg levelers on the base to keep your table balanced on uneven surfaces. This table is priced at about $175 US.